Raul Castro is in Moscow for his first official visit as Cuban leader. The two countries were close during the Soviet era, but relations turned sour in the mid-eighties. Now things are on the mend, and Cuba is interested in bringing Russia back as a partner. Raul Castro’s visit comes on the 50th anniversary of the Cuban revolution. His celebrated brother Fidel visited Russia many times. Fidel once spent 45 days travelling around the country, with news television crews following his every move. Everywhere he went he was followed by a translator – Russian diplomat Nikolay Leonov. Leonov. 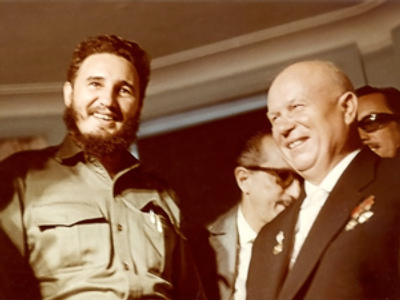 Leonov met both Fidel and Raul Castro six years before the revolution and became their personal friend. “One of the main achievements of Raul Catsro is that he was Cuba’s number two for fifty years. 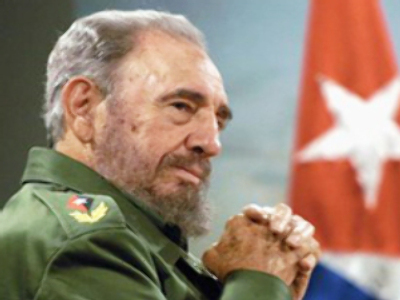 As the head of the military forces he stayed loyal to his party and then took power of the country, doing it so well no one in Cuba or abroad noticed,” Leonov believes. There were ups and downs in Russian-Cuban relations over the years. For nearly a quarter of a century there was no dialogue between the countries. Following president Medvedev’s visit to Cuba, and Raul Castro coming to Moscow, experts now believe the long-lasting friendship will take a step in a positive direction. “The Russian economy and the Cuban economy are complimentary to each other. Cuban tropical conditions provide a lot Russia cannot, and Cuba needs Russian markets to export its goods,” Nikolay Leonov explains. The Cuban leader is expected to spend a week in Moscow. According to the Cuban ambassador to Russia, the countries could sign an energy deal during Raul Castro’s visit.